Currently, buying houses in Posada reflects the new trend of the real estate market. 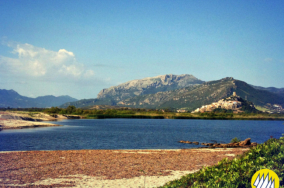 The demand for buying houses for sale in Sardinia is focused on small towns and villages, where people can enjoy relaxing holidays close to the beaches and the nightlife, but far away from mass tourism. Unlike properties built on the coasts, those that are situated in the inland villages such as Posada have more affordable prices. Moreover they give the opportunity to feel part of the local community, a feature appreciated by tourists particularly recently. This means that it is possible to experience a whole new lifestyle more relaxing and environmentally friendly. 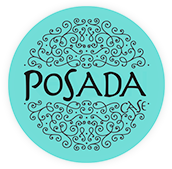 Posada is a pretty village situated on a rocky spur that rises above the surrounding plain, offering a scenic view overlooking the sea and the valley. The old town centre is characterized by charming alleys and steps, arches and little squares, a beautiful setting for cultural events. The old town centre is regularly frequented by people who live there, who shoot the breeze during the summer evenings. The village offers all the amenities for a great holiday in Sardinia, such as shops and bars, as well as places available for children’s play. This is the right time to buy houses in Posada and make a safe and profitable property investment. If you want to buy a property for renting you will be able to quickly cover the costs of buying, drawing a significant profit. Otherwise, if you want to buy a second holiday home you are sure to make a good investment, that will increase its value over time, above all in case of selling the property in the future. The quiet and the landscape beauty, combined with the possibility to easily reach the greater towns such as Olbia and Nuoro, promise an investment without risk. The sea and the beaches around the village are easily reachable within minutes, as well as places of historic and natural interest, such as the artificial lake of Posada and its fragile ecosystem.